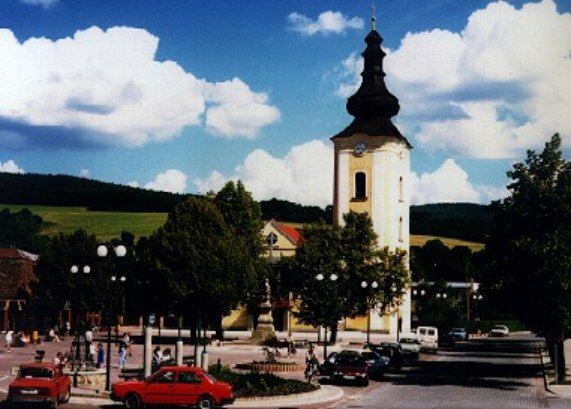 On both banks of the Váh river, enclosed by the White Carpathians, the Javorníky and the Strážovské hills, is situated Púchov with almost 20 000 inhabitants. The first written mention is in a pergamen of the Hungarian king Béla IV. from the year 1243. Archeological finds of the Baron Hoenning from the 19th century became the base of culture of Púchov which were located in the surroundings of Púchovská rock. To traditional handicrafts, thanks to its development our town was growing, belonged clothing, pottery and printing press. In present-day the most important historical monuments are three churches and the Župný house - now a seat of the Museum of Púchov which was built by Imrich Marcibányi. - the Hotel Wili, 1 May Street, is located in the centre of Púchov at the complex sports area. This hotel has 20 rooms above the average with a trundle bed suitable for sports groups, also 7 rooms for not mobile visitors. There are a fitness centre and a rehabilitation centre with sauna, a solarium, Scotch fixes and professional massage services. Catering - a restaurant with international kitchen, a lobby bar, a night club, the Púchov´s shed, a saloon and a summer terrace. - Matador Business Centre - not only for managers of the Company and their business partners, but for businessmen from the surrounding region and for their guests. Matador Business Centre is situated on Streženická Street and provides these services: accomodation, catering, council halls, rooms for administrative activity of entrepeneurs, autosaloon, sample shop of tyres and auto complements, pneuservice. - "Športklub" - a sports area of ŠK Matador. It is a sports boarding-house with 40 places, catering. Near by this there are two sports halls, a football and winter stadiums, a roofed and open swimming pools, tennis courts.